The flagship stations for Oklahoma State University sports since 1947! From Cowboy football and wrestling, to Cowgirl basketball and softball, we partner with Learfield Sports to provide the best coverage of OSU athletics. Since 1947, we've been the hometown source for OSU sports in north central Oklahoma. However, we are much more than Oklahoma State athletics. 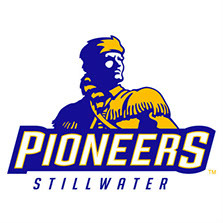 We are also the home for Stillwater and Perkins-Tryon High School athletics. We also support local area teams on their conquest for state and academic championships. Listen to 101.1 KVRO for Stillwater Football and Girls and Boys Basketball! Listen to 105.5 KGFY for Perkins-Tryon Football and Girls and Boys basketball!